Brock: You are now under my power. You will steal Ash's hat and bury it in the backyard. by Extra PKMN Power! 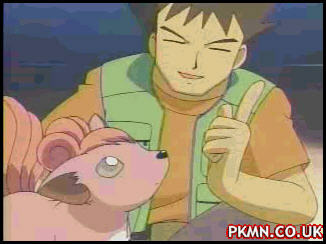 Brock: ...then jump through the fire hoop, onto the springboard, and grab hold of the trapeze... by Extra PKMN Power!